We sell everything locally within a 70 mile radius of the farm, thereby ensuring the freshness of our products; reducing environmental costs associated with transportation; generating stronger relationships and promoting accountability with our consumers; and supporting the local food economy. We prefer to sell direct to consumers, thereby guaranteeing that our produce is being offered at the peak of its freshness; building closer relationships with the people who eat what we grow; and benefiting from feedback about what we can do better. We select our wholesale customers carefully, thereby protecting the integrity of our product and forging long-term, mutually beneficial partnerships. With these principles in mind, you can buy our food at three local farmers’ markets and at a small number of fine restaurants and stores. 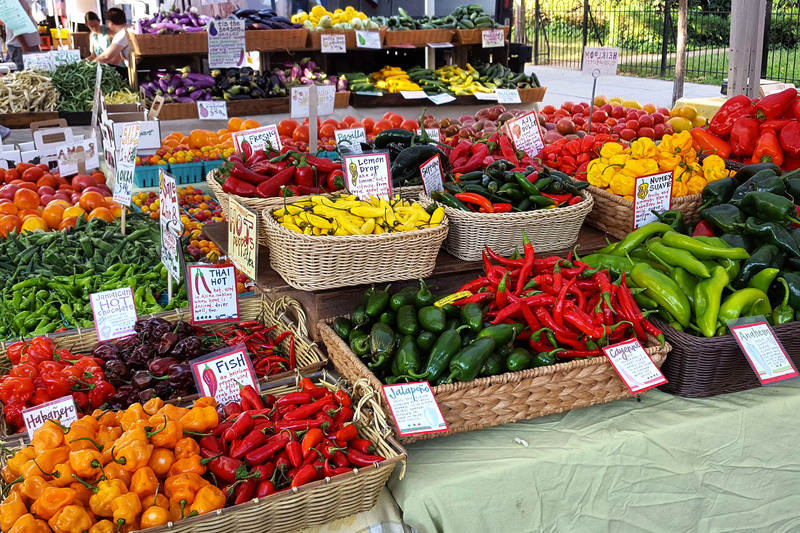 The Farm At Sunnyside sells during the regular season at the Dupont Circle Farmers’ Market located on 20th Street between Massachusetts Avenue and Q Street, NW. The market is open Sundays 8:30 a.m. – 1:30 p.m. April-December. The Farm At Sunnyside sells from May-December at the Falls Church Farmer’s Market. The market is open Saturdays from 8:00 a.m. – 12:00 p.m. It is located at City Hall. 300 Park Avenue, Falls Church, VA. The Farm at Sunnyside will be participating in the new Rappahannock Farmer’s Market at Pen Druid Brewery located at 7 River Lane, Sperryville, VA The market is open Saturdays from 11 a.m. to 2 p.m. starting May 25th and ending October 19th, 2019. You can enjoy produce from The Farm At Sunnyside at several fine local restaurants, including The Dabney, Field & Main,The Inn at Little Washington, Headmaster’s Pub and Rappahannock Pizza Kitchen. When you go, please tell them that you applaud their efforts to support local organic farms!